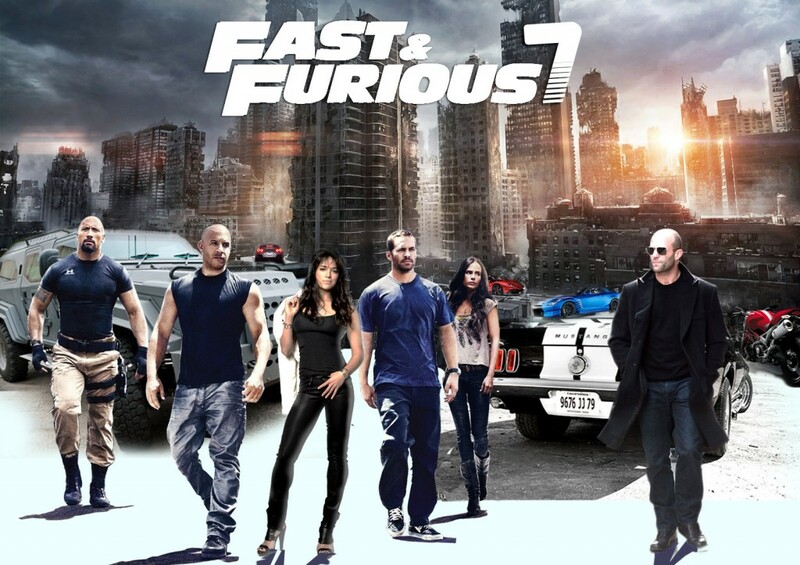 Furious 7″ raced to the top of the domestic box office, picking up a massive $143.6 million in its opening weekend. That establishes a new high-water mark for the month of April, blowing past the $95 million debut of “Captain America: The Winter Soldier,” and stands as the highest-grossing kick-off for any film in the “Fast and Furious” franchise. It also ranks ninth among the top ten openings in history. Much as “The Dark Knight” turned into a memorial for Heath Ledger, audiences flocked to see star Paul Walker in one of his final roles. The actor died in a 2013 car crash at the age of 40 and his work on the film was completed using digital technology and a series of stand-ins. Foreign numbers were steroidal. Internationally, the film rolled out across 10,500 screens in 63 territories, earning $240.4 million. With an A CinemaScore and strong reviews, “Furious 7” could be one of the few modern blockbusters that hangs on for more than a few weeks. The month of April is lean on blockbuster fare and “Furious 7” won’t get serious competition until “The Avengers: Age of Ultron” debuts on May 1. The opening weekend crowd was impressively diverse, a testament to a series that has drawn strength from its multi-cultural cast. The audience was 51% male, 44% under age 25, 37% Hispanic, 25% Caucasian, 24% African-American and 10% Asian. “We’re expanding our audience based on the diversity of interest from different ethnic groups all buying into saga of Dom Toretto and his family,” said Nick Carpou, Universal’s president of domestic distribution, referencing the character played by Vin Diesel. Last weekend’s box office champion, DreamWorks Animation’s “Home,” showed impressive stamina, falling less than 50%. The animated tale picked up $27.4 million in its sophomore frame, pushing its domestic total to $95.6 million. Radius-TWC’s “It Follows” also continued to expand, moving from 1,218 to 1,655, though its gross dipped 35% to $2.5 million. The critically adored horror film has made $8.5 million since debuting on March 13. The Weinstein Company was particularly bullish on the reception for “Woman in Gold,” a drama about the fight to recover art stolen by the Nazis. The film picked up $2 million from 258 locations and will expand to between 800 and 1,000 venues this coming weekend. Thanks to “Furious 7,” the overall box office reached $218 million, the first time that ticket sales have crossed $200 million over the Easter weekend. “These huge results jump start momentum for the blockbuster, summer season, suggesting that 2015 is shaping up to be everything (and maybe even more) that the industry has been hoping for,” said Greg Foster, CEO of Imax Entertainment. In other words, “Furious 7” just dropped the mic.